The London Olympics are now over and there have been many inspirational stories of athletes who have overcome odds or broken world records or achieved remarkable deeds. But I recently came across the story of an amazing young man who has genuinely inspired me. 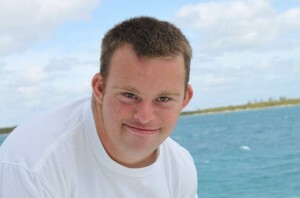 Tim Harris is a Special Olympian who was born with Down Syndrome. He has competed in a wide variety of events and claims to have won more medals than Michael Phelps. But as impressive as that may be, that’s not the most inspirational thing about Tim. As a big sports fan, I enjoyed watching the 2012 London Olympics. I love the superstars of the Olympics and have fond memories of watching the original Dream Team, Cathy Freeman, Carl Lewis and other greats strut their stuff on the big stage and to see a new generation of stars was exciting and inspiring. I also love the stories behind the scenes of those who never won a medal, but competed with pride, courage and to the best of their abilities, giving us all someone not only to cheer for, but to be inspired by. One of those people is John Stephen Akhwari. He was a Tanzanian marathon runner competing in the 1968 Mexico City Olympic Games. Not used to running at such a high altitude, Akhwari soon started to cramp, but things really went wrong at the 19km mark of the 42km race, when he collided with another runner and fell, injuring himself badly. He badly cut and dislocated his knee and also hurt his shoulder when he hit the ground. Gac Filipaj is a 52 year-old refugee from the former Yugoslavia who works as a janitor at Columbia University. He’s not the usual success story, but he is a true inspiration. An ethnic Albanian, Gac was about to be drafted into the Yugoslav army. He feared that he would be forced to fight against other Albanians, so he escaped and emigrated to America, living with an uncle in the Bronx. He didn’t speak a word of English, so he learned the language while working as a restaurant busboy. He found a job as a janitor at Columbia University, after learning from his uncle that it was the best learning institution in the New York area. I admit it. I’m a sucker for a great sports story and in my opinion, New York Knicks basketball player Jeremy Lin is the sports story of 2012. In just his second season, he’s set the NBA alight, recently winning the Eastern Conference player of the week and breaking Shaquille O’Neal’s NBA record for points scored in his first 5 games as a starter. He topped off his meteoric rise with the game winning three pointer this week against Toronto with 0.5 seconds left on the clock. 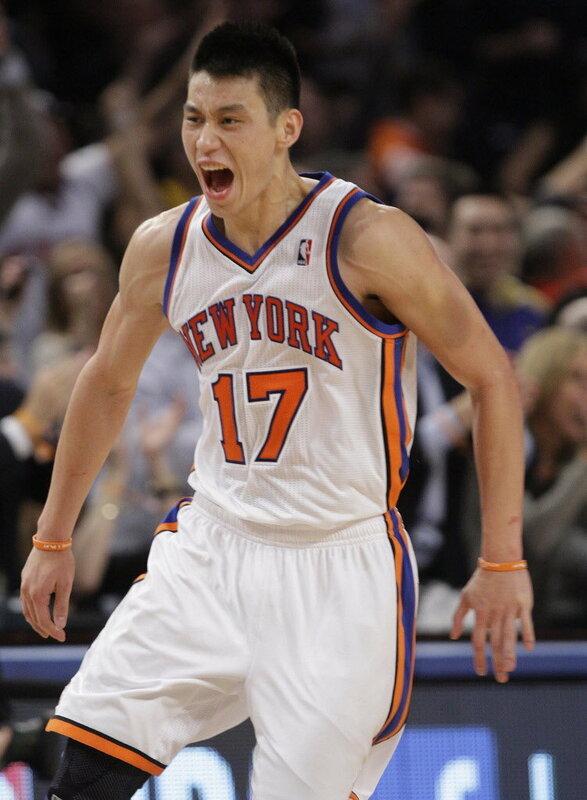 So who is Jeremy Lin and why is he so inspirational? I recently came across the story of a lady named Irena Sendler who worked in the ghettos of Warsaw as a social worker during World War II. This extraordinary woman smuggled Jewish children to safety using a range of innovative techniques, including ambulances and underground passages. She carried infants in the bottom of tool boxes or even coffins and older children in a sack that she placed in the back of her truck. She also had a dog that sat in the truck that was trained to bark when the Nazi soldiers approached the truck as she entered and exited the ghetto. The soldiers wanted nothing to do with the dog, so they’d stay clear. The barking would also cover the sounds of the frightened children and infants. Over the course of her endeavours, she and her team of helpers were responsible for saving 2,500 children from almost certain torture and death. 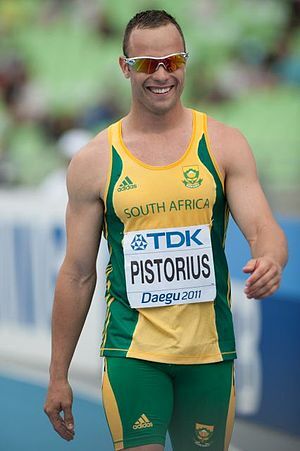 In the 2011 Track and Field World Championships, there was a runner from South Africa who qualified for the semi-finals of the 400 metres by finishing third in his heat. 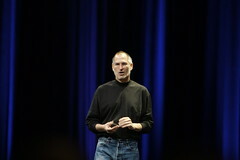 He then went on to qualify for the semi-finals of the 2012 London Olympics. This doesn’t seem like such a great achievement until you learn that Oscar Pistorius had both of his legs amputated below the knee when he was a baby. As a result, he runs with prosthetic “blades” that are attached to his legs, enabling him to run. His training and dedication has given him the capacity to compete with the best able-bodied athletes in the world. When I first heard about this, I couldn’t help but be inspired. In the 2011 NBA Draft, Marquette’s Jimmy Butler was selected with pick 30 by the Chicago Bulls. Whilst that’s the starting point for what will hopefully become a successful professional career, it all could have turned out very differently. After moving from house to house, with no money, no parents and no support structure, he was eventually taken in by the Leslie family who already had 7 children of their own, but generously opened their home and hearts to Jimmy in his senior year of high school. In 2011, India won the Cricket World Cup, a tremendous achievement that was celebrated ecstatically by a country that treats the game like a religion. At the fore-front of their win was the “Little Master,” Sachin Tendulkar. One of the greatest batsmen in history, this was Sachin’s sixth World Cup and his first win, adding to his already long list of cricketing accomplishments. He is the leading run scorer in both Test Cricket and One-Day Internationals, and even in the twilight of his career is still one of the most feared batsmen going around. What can we learn from Sachin Tendulkar? Anthony Robles is one of those remarkable people who come along to remind us that it’s not what we don’t have that matters, it’s what we do with what we have. Robles was born with only one leg, but from an early age, he was determined to live a normal life. He threw away his prosthesis at an early age and started to do what most other boys his age were doing. He played football and became a machine at doing push-ups. Then he started wrestling in the eighth grade and a remarkable journey followed.